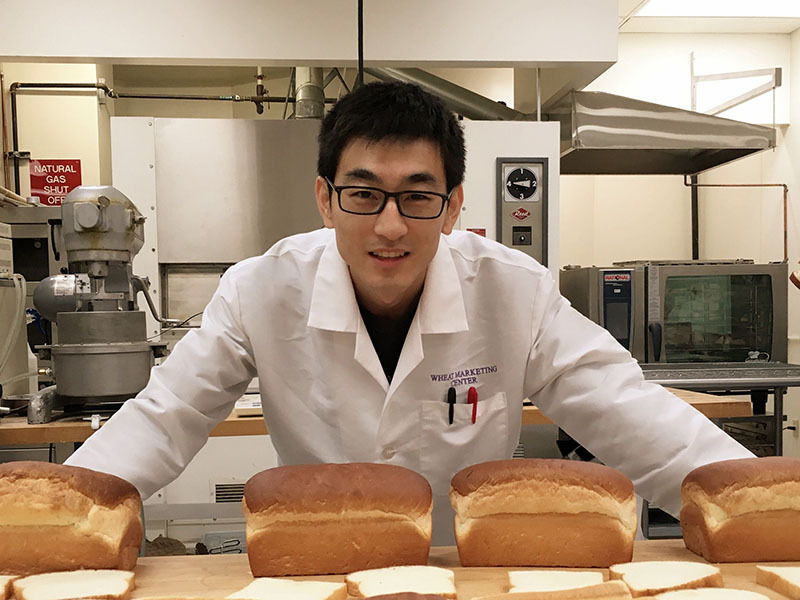 WMC’s Visiting Scholar program invites wheat-focused science professionals from key international markets to spend up to 12 months to gain technical training and develop increased understanding and innovation to increase utilization of U.S. wheat. These exchanges not only strengthen relationships and create networks with current and emerging technical leaders but also build foundations for better recognition of the comparative advantages of using U.S. wheat in existing and new product markets. Scholars have come from many key markets, including Japan, Taiwan, Mexico, China, and Korea. Since the program’s inception in 2001, WMC has hosted 25 visiting scholars from nine countries. Each scholar conducts at least one independent research project, developed jointly by Dr. Jayne Bock, WMC Technical Director, and the scholar’s institution/company. Research results are made public, usually in the form of a technical journal article. 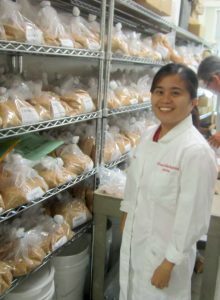 In addition to their specific research projects, scholars provide staff support for many WMC technical short courses, facility tours, and crop quality analysis. Visiting Scholars are recruited on an ongoing basis. Interested applicants should contact Dr. Bock at JBock@wmcinc.org for more information. Ms. Min XU, Ph.D. student at the College of Tea and Food Science and Technology, Anhui Agricultural University, June 2017 – June 2018. 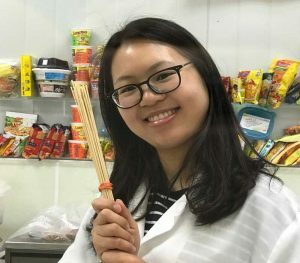 She conducted projects including investigating the use of green tea extract to improve Asian noodle antioxidant and end product quality. Dr. Wenyin (Sofia) Zheng, Associate Professor, Anhui Agricultural University, Hefei, China; January – December, 2016. 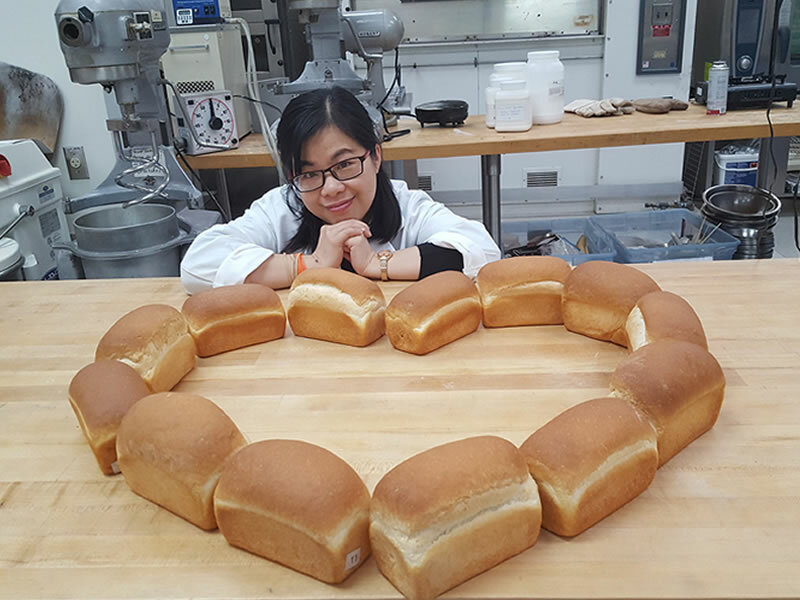 Her projects included evaluating soft white whole wheat flour in baked products and wine grape pomace-fortified bread. Mr. Yosep Kim, Researcher, Daehan Flour Mill, Incheon, South Korea; February – August, 2016. 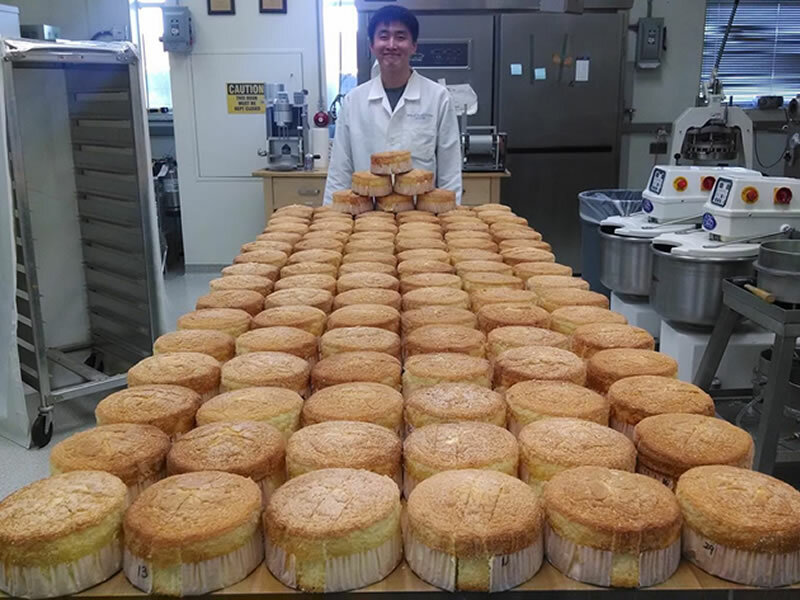 Mr. Kim studied the relationship between protein and sponge cake quality and optimal blends for sponge cakes. Mr. Jungang Wang, Ph.D. student, Washington State University; May – September, 2016. He evaluated optimization of the GlutoPeak method for whole wheat flour and supported the crop quality surveys.